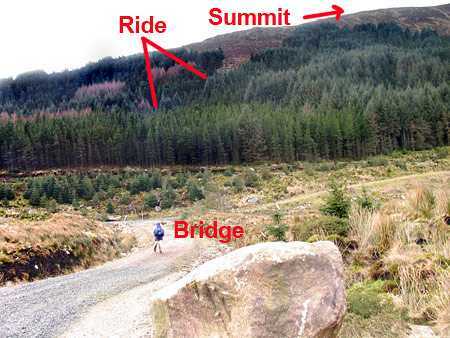 Starting at the large carpark at T06617 94163 A in Glenmalure, cross the nearby footbridge. Once across the ford, follow the good Coillte track for several kilometers higher into valley. 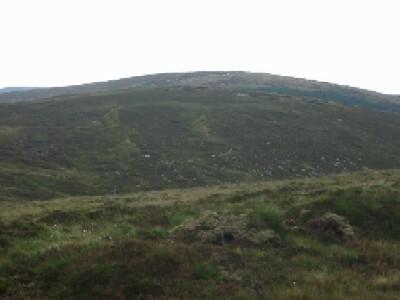 After a track junction at T04476 95550 B, Camenabologue SE Top is on your left above the trees. The track continues ahead and you can find your own place to climb up to the summit. (There is forestry to contend with which is very dense and the terrain underfoot extremely irregular, and this route is quite difficult). Another option is to take a left at the track into Fraughan Rock Glen at T057 948 C. This splits after a bit, one trail leading into the glen, the other snaking back around and skirting Benleagh and Camenabologue SE Top. (The well surfaced track is not marked on the map). Continue until T044 953 D where you will have relatively easy access to the open mountainside. 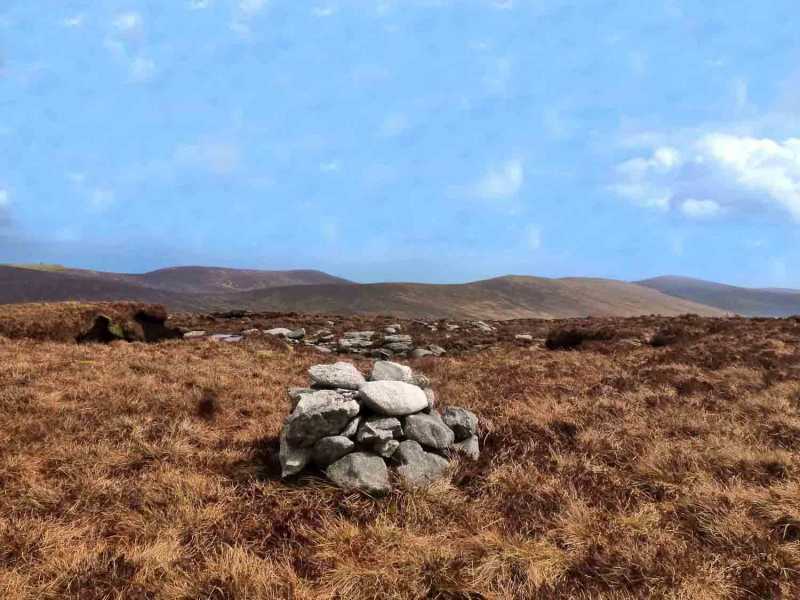 Alternatively continue on the track to reach the col between Table Mountain and Camenabologue at T02085 96698 E. From here it is a 10 minute ramble to the summit of Camenabologue, and a further 25 boggy minutes to the SE Top.